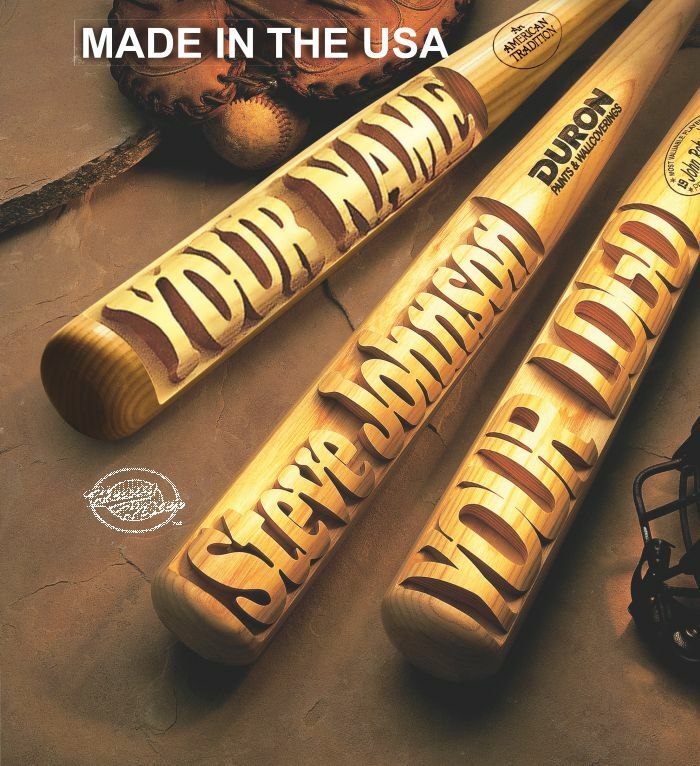 Heavy Hitter has been making personalized and collectible baseball bats since 1991. We were first to bring laser engraved bats to the market place and with our patented deep carving process on a Rawlings American north white ash bat. This bat is best gift in baseball. This Bat Features our patented three-dimensional, deep-carved, hand-cut full size professional 35" Rawlings Northern White Ash baseball bat. Each Bat can have deep carved names up to 12 letters. FREE wooden wall rack included, which makes for a great horizontal showcase for your bat. Or because you're a Heavy Hitter and its about time people recognize it!